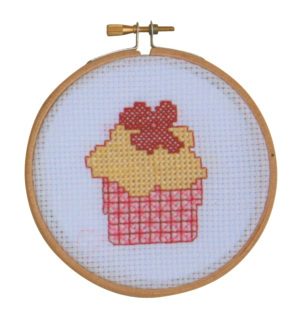 Give Cross Stitch a go with my adorable 'Mini Cupcake Starter Kits'. they are good enough to eat. 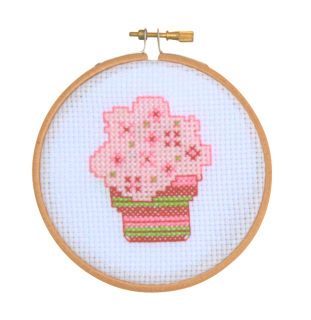 Once finished the embroidery hoop doubles as a frame. 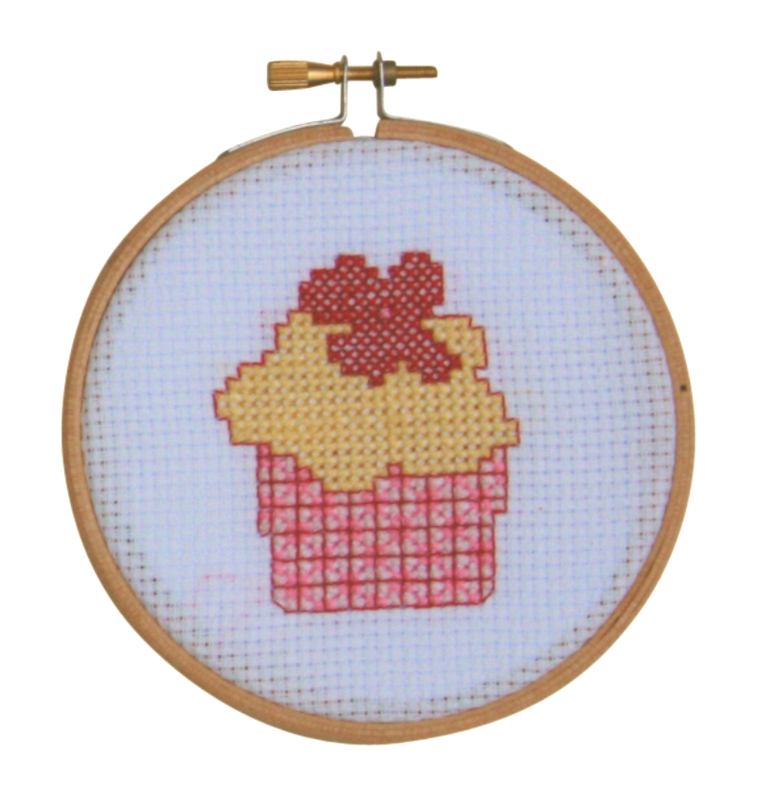 Why not give somebody the gift of a new hobby? The kits are hand packaged with loving care making this a perfect treat for yourself or your artsy friend. 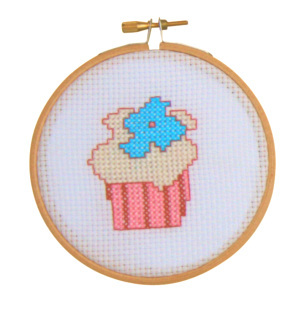 Choose from one of 4 cupcake or the whole set. 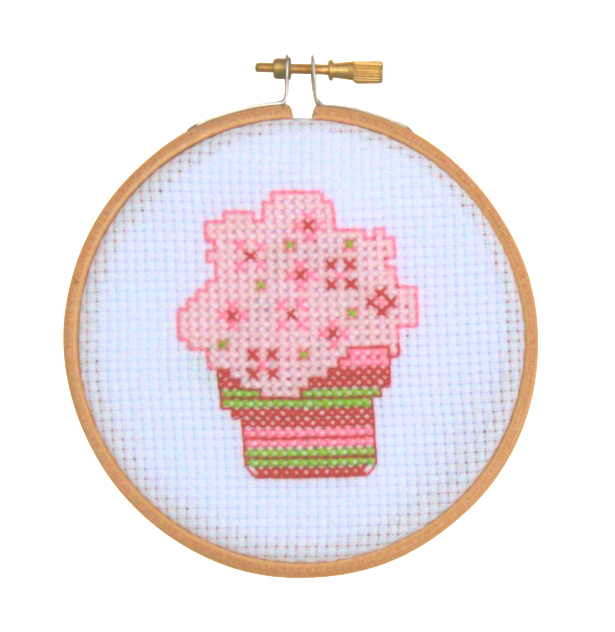 High quality,DMC, embroidery thread in four colours to complete the design. 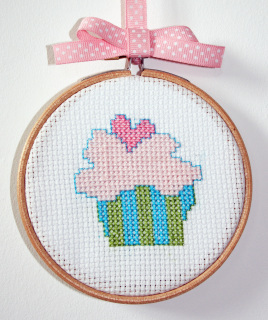 Once completed your cupcake will stand a cute 7cm tall. This kit would be suitable for adults and children around 7 and over but would require supervision as it contains a functioning needle.